Next Generation Networks: A New Digital Divide? At present there is no one definition of the term ‘International Digital Divide’. It is often defined in different ways, but nevertheless, factors that influence its definition include access to telecommunication lines, the ratio of internet hosts to GDP, and the level of development of the human capital base. The lack of a clear definition will have knock-on effects in the loan documentation of aid agencies involved in infrastructure development and capacity building. However, a clear definition of the divide could help to focus and better target the necessary investment to help address the inequalities the divide attempts to capture, particularly with the rollout of NGNs. This paper attempts to (a) provide a brief overview on the rise and structure of the internet and evolution to Next Generation Networks, (b) set out basic indicators of the Digital Divide and clarify the significance of these linkages, and (c) to review various definitions of the Digital Divide available in current literature so as to arrive at one new overriding definition. 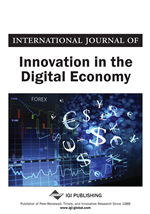 In the context of this paper, an international digital network is a network that provides connectivity to the backbone internet, the global infrastructure of links connecting Internet Backbone Providers (IBPs). As such when reviewing the international Digital Divide, we first need to understand how the internet developed in the first instance. The Author will not discuss the underlying development in technology or of the management of the domain name system currently administered by the Internet Corporation for Assigned Names and Numbers (ICANN), but will focus instead on the main technological milestones that allowed the infrastructure of the internet to develop. In section 1.2, the Author looks first at the emergence of the internet in the United States and the development of the two protocols that helped facilitate its growth, the Transmission Control Protocol (TCP) and the Internet Protocol (IP). Also, the Author looks briefly at other technologies that have helped to accelerate the development of the internet, such as the advent of Local Area Networks and fibre optic cable, and the migration of existing networks to NGNs. Section 1.3 discusses the linkages to the Digital Divide and in the concluding section 1.4, definitions of the international digital divide.